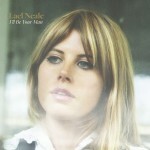 Lael Neale is set to release her debut album, I’ll Be Your Man, on July 10th. Raised in the pastoral hills of Virginia, Neale takes musical inspiration both from the solitude of idyllic pastures and the energy of Los Angeles, where she currently resides. A songwriter who wrote everything on her debut, Neale navigates through her own winding search for essence and meaning, detailing experiences that we all can recognize in our own lives. Though her voice warbles with vulnerability, her delivery is stoic – sometimes irreverent – and her melancholy verses are laced with subtle humor.